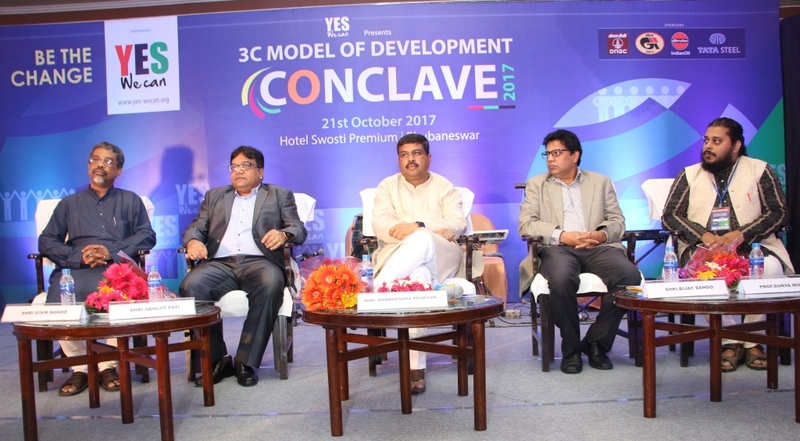 Union Minister of Skill Development and Entrepreneurship Dharmendra Pradhan on Saturday inaugurated the 3C Model Conclave 2017, a two-day long youth centric programme in Bhubaneswar. The 3C Conclave was organised by Odisha-based social organisation,”Yes We Can”. 3C stand for C- Corporate, C-Change Agent, C- Civil Society. Pradhan expressed happiness over the integrity of the Odia people. Addresing the people of Odisha Pradhan said, help others is in the DNA of its citizens. He further stated that many players from Odisha are in great hide without any Government support and there have a need to extend support to bring them on a bigger platform.